The Black Forest Railway connects Offenburg and Singen over a distance of 149 km. 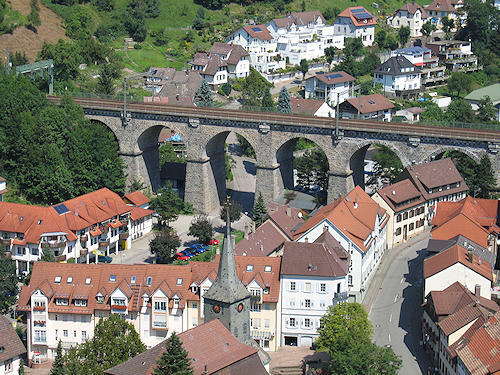 The section between Hornberg, Triberg and St. Georgen is particularly interesting. More than 120 years after its opening, the stretch is still regarded as a great feat of engineering. It is now used both by the Deutsche Bahn for its regular services as well as for special trips with nostalgia trains. The planning and construction of the Black Forest Railway became the ideal for building a mountain railway and the model for the Gotthard, Albula and Bernina railway in Switzerland and railways in Peru, the USA and New Zealand, amongst others. The masterly achievement consisted in bridging the height difference by means of double loops. 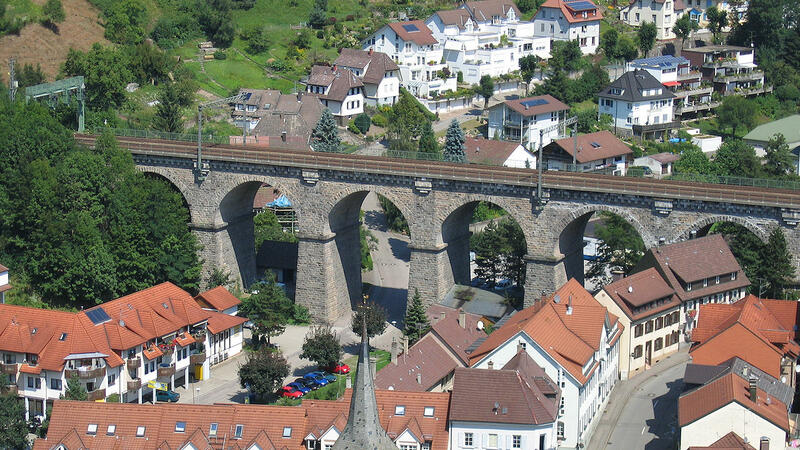 Using this construction, the 448 m difference in height between Hornberg and St. Georgen was bridged with 39 tunnels, a viaduct and a maximum gradient of only 2% without any switchbacks. The distance of 11 km as the crow flies was extended to a track length of 26 km.